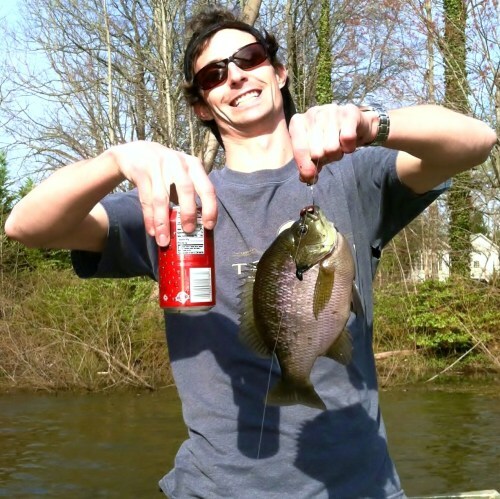 I caught this Monster Bream/Bluegill the first week of April 2013. It was about 6:30pm and I was using 'Live Canadian Night crawlers' or as Walmart marketed them. I was mainly targeting Bass around the bank, and in the weeds. I cast my Night crawler (weightless) approx 15 ft into some lily pads and was attacked immediately. I thought it could be a pretty good sized bass (i.e. 3 lbs) by the fight it was putting out, needless to say I was pretty awestruck when I landed it. I've caught tons of bream/bluegill/etc and have done a fair share of image searches on the web and without trying to 'float-my-boat' believe it to be up there with the all time heavyweights.